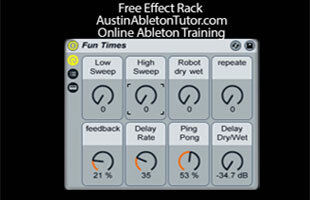 Fun Times is a multi-effect Ableton Live Effects Rack. The rack includes a Low pass and High pass filter. A robot effect that makes a glitchy robotic type sound. 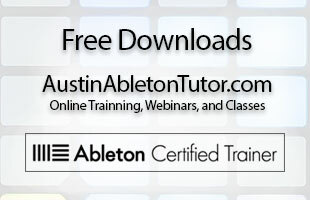 A one knob beat repeat that engages the repeat and increases the rate as you turn the knob. The bottom set of knobs is dedicated to a ping pong delay which will enable you to have hour and hours of fun!